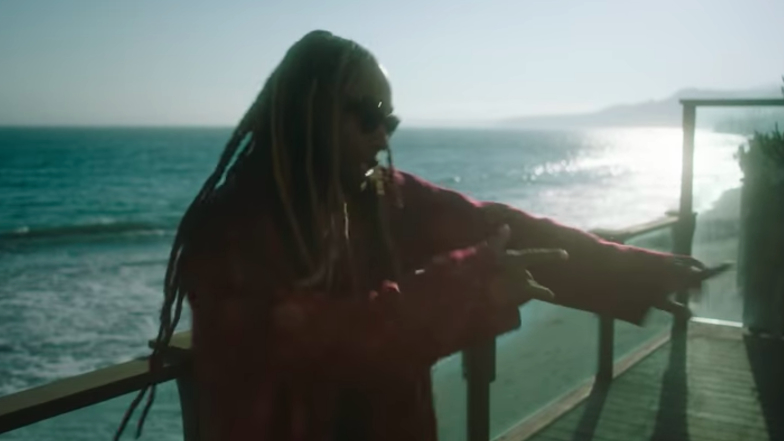 Ty Dolla $ign, "Side Effects"
Ty Dolla $ign released his Beach House 3 album back in October, with the multifaceted artist returning to give his track "Side Effects" the cinematic treatment. The infectious song details a love that has gone awry, with the visual doing the emotional story justice. For this posse cut of epic proportions, A Boogie, PnB Rock and YoungBoy Never Broke Again draw inspiration directly from NBA 2K, with the visual taking a bit of a virtual turn. When the visual is just as vibrant and trippy as the track, you know you're onto something. Get transported to Skepta's side of the pond with some New York flavoring from A$AP Rocky and A$AP Nast. Roy Woods, "Monday to Monday"
Roy Woods takes it to a neon-lit cathedral for his latest, all while sporting an extravagant checkered fur, with many fans taking to the comments section on YouTube to point out how the crooner is one of Canada's most underrated artists out. Skyzoo keeps it simple for this Sen. Floyd-directed cut, taking to the streets of his native Brooklyn to deliver his lyrically conscious bars and share his personal stories.